These two are pretty much my definition of love. When I first photographed them they were engaged, and now this second time, they have since wed. Some people say that after the wedding all the bliss settles, but with these two, there is no shortage of love. The playfulness, the excitement to be with each other, the glow they have when looking at each other and the way they melt into one another makes you go a bit weak in the knees. Or, smile from ear to ear like a fool. I totally smile like a fool when I'm around them. Working with couples like Tori & Mitch give me life, like honest to goodness, these two refuel my heart and soul. They are the reason I do what I do. 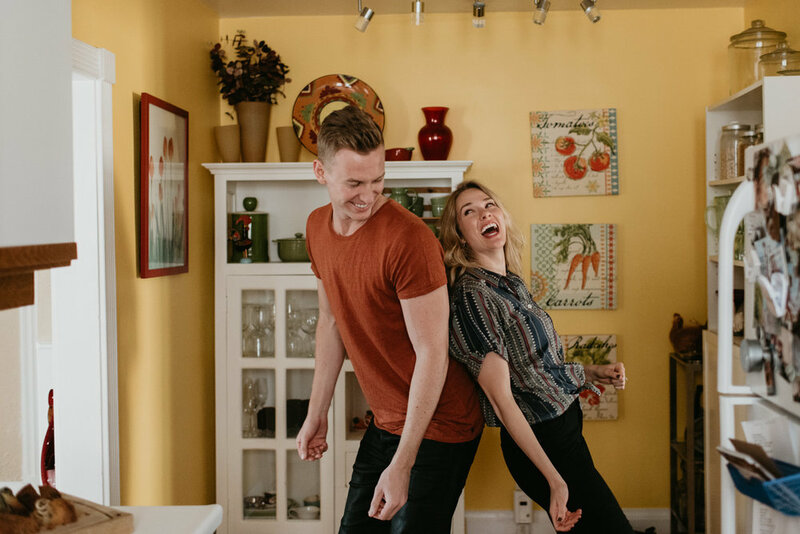 If all couples just played and loved so honestly, I'd do a dozen of these shoots all dang day long! It makes me happy knowing that two people as cool as these two are together, bringing such good energy and love into the world. I really like them, if you couldn't tell ;) Hope you do too!